It is a constant struggle of mine (and I’m sure of other FM’ers) to find suitable bread – 99.9% of rye breads list wheat as the first ingredient and more and more gluten free breads are sweetened with agave syrup, honey or some sort of fruit juice concentrate. Gluten free bread is pretty hit and miss anyway. I thought that to combat this, I would attempt to bake my own bread. I am no bread expert and most of the recipes for rye bread that I found online either had mostly wheat flour or they were sourdough rye and required “starters” and cultures and all sorts of confusing things. 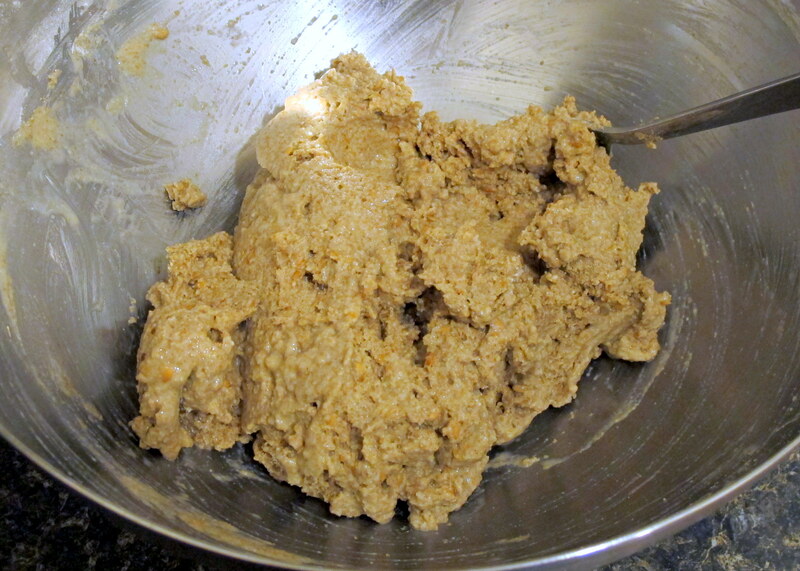 Why couldn’t I find a nice, easy no-knead rye bread recipe to share with all of you? It really couldn’t be that hard, could it? 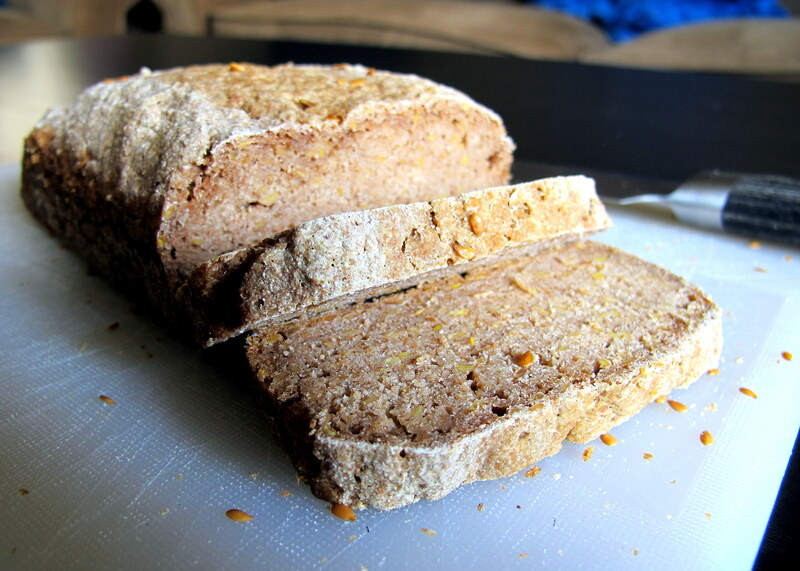 After some searching, I found this recipe for Easy Russian Rye Bread. It seems simple enough, although I’m annoyed that it’s sweetened. Personally, I don’t get why bread needs to be sweeter and the amount of corn syrup added is much more than what is required to activate the yeast, that much I do know. So, back to the interwebs I went to find a better option. After half an hour of browsing/reading (no kidding) I found the website Virtuous Bread; it’s all about teaching people to bake and giving back to the their community, which is pretty awesome… but what was even more awesome – selfish Natty coming out here – was their recipe for “extremely simple” rye bread. Who was I to turn this up? With only four ingredients, it is as basic as you can get. I like basic, much less margin for error. Sure, it’s not multigrain blah blah blah but it’s a place to start my bread-baking career and after this I will experiment with some new flavours/substitute in some GF flour and xanthan gum to lighten things up a bit. While studies have shown that rye may have more fructans than wheat, these chains are longer. According to Muir et al (2007), evidence suggests that “the rapidity by which fructans are fermented is related to their chain length,” in a directly proportional manner. In non-science speak: shorter chains are fermented in less time than longer chains, thus are more likely to cause or increase symptoms of FM/IBS. Furthermore, they also mention that shorter chain length, such as in wheat, are more likely to increase water retention in the colon, leading to diarrhoea-like symptoms. Please note that rye flour is not gluten free, so this recipe is NOT SAFE for those with gluten specific issues such as Coeliac disease. Click on the link for Virtuous Bread’s recipe. I unintentionally used whole rye flour, so my bread didn’t rise as much as light rye would have. I added 1/4 cup flax seeds. 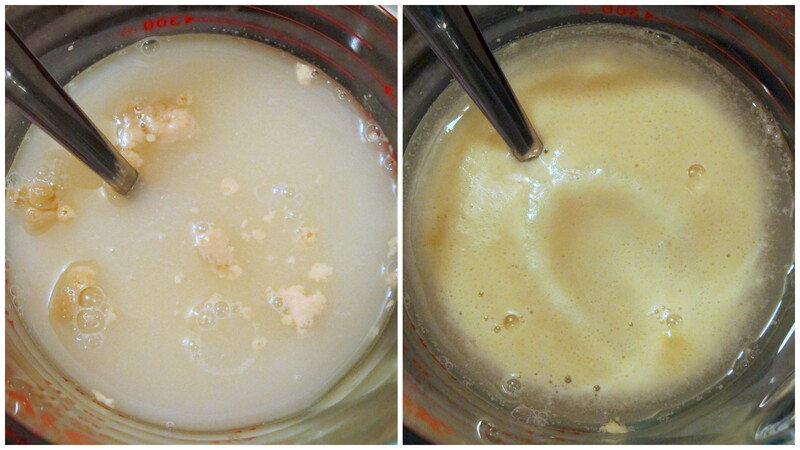 I proofed the yeast to begin with because my yeast is the instant kind so needs this step – as far as I am aware. The dough should be very wet; wetter even than this. This is normal. 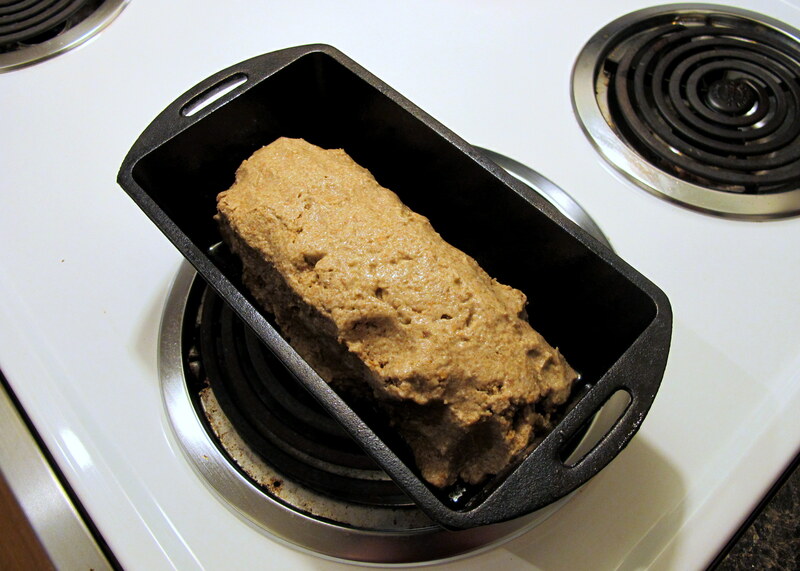 Form it gently into a log before placing it into a greased loaf pan. No tidying up (as I appear to have done here) or pushing it into the edges. It took about 4-5 hours to rise. This bread is delicious. DE-****ing-licious. I love rye and this one didn’t disappoint. 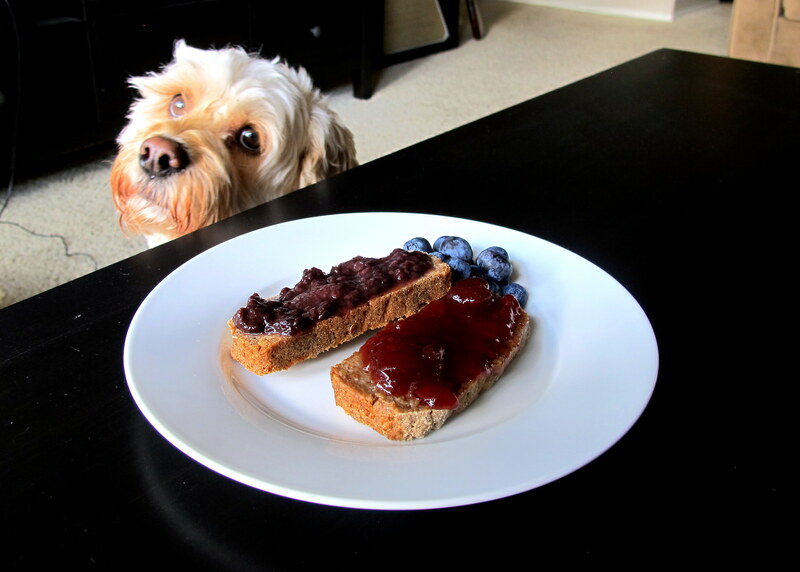 It works well with sweet spreads like jams and savoury toppings, such as Vegemite, cheese, poached eggs, avocado etc. Rye bread doesn’t have as much gluten as wheat, so it already doesn’t have as much potential to rise – unless you add more gluten. This is something I could do, considering I don’t have a gluten sensitivity. Because rye is low gluten, you have to be very gentle with the dough as too much pressure will push out the air that was beaten in while stirring the ingredients together. Do NOT press the dough into the corners of the pan. It won’t rise much – if at all – and it will be very dense. 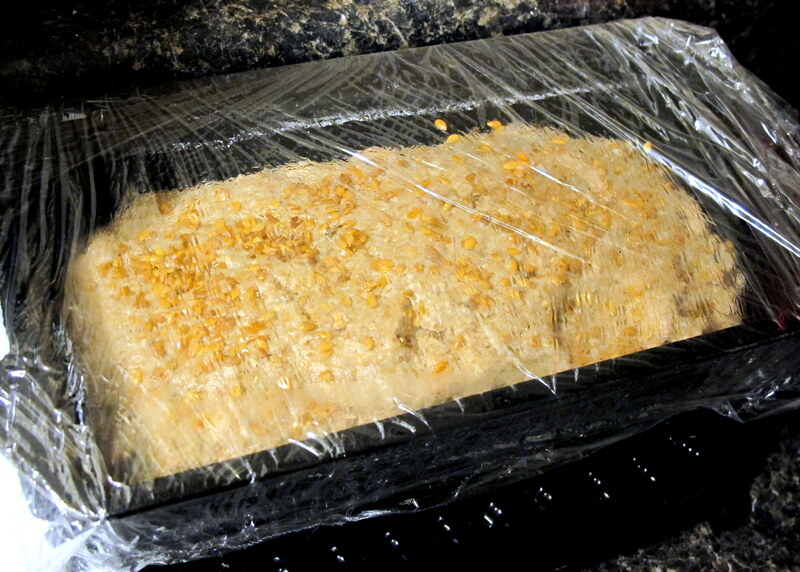 This is what I did the first time, the photos included are from the second loaf, which did rise. Learn to tell the difference between light and dark (whole) rye. Whole rye has little flecks in it, this is the rye germ, bran and endosperm. 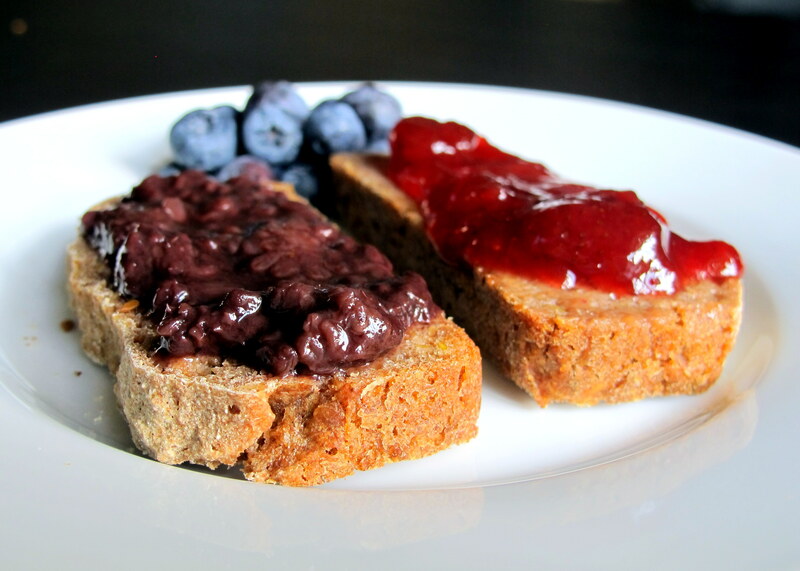 While it is much more nutritious in terms of vitamins and minerals than light rye, it will produce a denser bread. I didn’t realise I had bought whole/dark rye until after I’d made the bread twice, when I looked at the clear container in natural sunlight, rather than our dark little kitchen. You can sieve whole rye to create light rye. Use the germ/bran on something like your cereal or porridge. I haven’t tried this yet but the internet says it works. Know your loaf pan. I need to cook my bread for 5 mins less as I have a cast iron pan and it cooks things quickly. The crust gets too thick, otherwise. Once more, know your loaf pan. This recipe requires a 1 lb loaf pan. Mine is bigger, hence the wider/longer and flatter loaf. It did rise a lot, just sideways more than up. I just can’t justify buying a second pan… stupid closet kitchen = zero space. Attempt a rye/wheat sourdough bread – theoretically, the fermentation that goes on with true sourdough should eliminate enough of the fructans so that a slice or two won’t trigger symptoms. Attempt a rye/GF flour bread – this already won’t be gluten free, because of the rye, so I am considering adding some more gluten to assist with rising. This is all in the planning phase, I have no idea if it will actually work. I want to make a pumpkin/pumpernickel bread. Just because. I will call it ‘Pumpkinickel Bread.’ This may already exist, I haven’t looked into it other than thinking that it would have an awesome name. I better make it sometime this autumn… or “fall,” really. When in Rome and all that. This entry was posted in Breakfast, Entrees, Appetisers and Sides, Lunch, Vegetarian or Vegan Entrees or Sides and tagged bread, cockapoo, dark rye, Dog, dough, food, fructose friendly, fructose malabsorption, healthy, home-cooked, homemade, light rye, low fructose, preserves, rye, rye flour, spoodle, spreads, vegetarian, Virtuous Bread, whole rye. Bookmark the permalink. Hi there, thank you so much for this lovely write up and more important – I love that you love this bread. I LOVE THIS BREAD. Nothing is better. Just nothing! Looking at the photo the bread could be EVEN WETTER. Don’t worry if you have to scrape it out of the bowl and it looks like a mess in the tin. Never squish or squash (or even tidy – neat freaks beware) it always works out. And the wetter it is the faster it moves and the longer it lasts. Thank you – and I love your dog….. I also attempted this bread. The first time it didn’t rise and was flat, but the taste was good. The second time I opted for a “gluten free” bread consistency where it was easy to mix and stir with a spoon but not “wet” enough to pour. After baking the loaf was little sunken in the middle even though it was a little taller than the first time. It also turned out more gummy the second time. I wonder if I put too much water? I appreciate any help I can get!! I also cannot eat wheat. THANK YOU! 1. When you made the first batch, how gentle were you with the dough? Jane told me that absolutely NO neatening up should be done, the dough should be plonked in the loaf pan and left to rise. 3. Were you using light or dark (whole meal) rye flour? Dark rye flour will rise less and be a heavier bread than light rye. I would recommend shooting over to the Virtuous Bread website – follow the link to the recipe – and ask Jane her thoughts, as she’s the expert.